Design Simulation Engineer – Greater Manchester Engineering, Construction, Manufacturing, & Utilities Essential Skills Bachelor’s degree in electrical engineering or other technical discipline. A thorough understanding of electronics devices and/or electrical system design and simulation, preferably with industry knowledge in one or more of the following applications: PCB Signal Integrity (SI)/ power integrity (PI) applications Radio Frequency (RF) applications Antennas EMC/EMI Experience with electrical and electromagnetic simulation tools. Excellent verbal and written communication skills. Good team-player who can work collaboratively with technical and commercial colleagues. Ability to manage your own time effectively. Desire for continued learning. Desirable Skills / Experience A Master’s degree in Electrical Engineering or related subject. Demonstrated use of relevant ANSYS software or knowledge of other commercial CAE, CAD, EDA software packages. 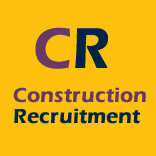 Sales Manager / Estimator Agency : UCA Consulting Contact Name : Raj Mangam Contact Email : raj@ucaconsulting.uk Telephone : 020 3790 0307 Industry : Engineering Job Type : Permanent Location : Dunstable, LU5 5BQ Salary : 35K PA Job Spec’s ESTIMATE WORK READ DRAWINGS AND TRANSLATE INTO MONEY ENGINEERING DRAWINGS WORKING TO PRICE Experience in the Sales and Estimate of works essential. Can understand drawings to quantify and price work Business development, sales or strong negotiating skills Track record of sales/tenders won would be highly advantageous Desire to progress quickly to and within the management team Someone who can work within the team Hit the floor running Self organizer CAN Be SOME TRAVELING but not essential requirement DRIVERS LICENCE holders preferred To discuss further please call RAJ on 02039700307, for a confidential chat. ULTRASONIC INSPECTOR Agency: UCA Consulting Contact Name: Raj Mangam Contact Email: raj@ucaconsulting.uk Telephone: 020 3790 0307 Industry: Engineering Job Type: Permanent Location: Boston Lincolnshire PE20 3LR Salary: (based on experience) JOB FUNCTION: To ultrasonically inspect weldments in accordance with appropriate standards as stated by client and carry out these functions in a professional manner appropriate to the company ethical standards. REPORTING TO: Predominately to the Inspection Director or if required due to circumstances to the Operations Director who direct any queries to the appropriate personnel. RESPONSIBILITIES: To carry out ultrasonic inspection in accordance with the appropriate specifications/procedures and report in a full and professional manner. When dealing with the client, directly or indirectly, a total professional attitude will be expected reflecting the quality and professionalism of the company. QUALIFICATIONS: PCN Level 2 Plate, Pipe, Nozzles, Nodes or CSWIP equivalent (strike out disciplines not required) ADDITIONAL REQUIREMENTS: Must have knowledge of the welding of carbon manganese steel both in plate and pipe. Understanding of the allied processes, MIG/MAG (solid, flux cored and metal cored) MMA and preferably SAW. Understanding of European procedural and acceptance standards and preferably American standards also such as AWS D1.1. Also a good understanding of EN ISO 1090, NSSS 5th Edition CE would be preferable. To discuss further please call RAJ on 02039700307, for a confidential chat.